Now almost everyone is on Facebook. Due to its excessive use, it is now becoming a tool to know about people’s background, education, work and friends etc. Facebook has provided its users a privacy setting relating to visibility of their friends through which users can manage their friend lists e.g. who can see my friends list. Most of the people want to keep their friend list as private and this is done through Facebook privacy setting. (go to your profile -> click on edit pencil next to friends tab-> click on edit privacy -> Then Click on Only me ). But this is no longer useful because of an extension name “Facebook Friends Mapper“. Yes, now people can see your hidden friends by using google extension name “Facebook Friends Mapper”. Latest hacker news revealed, this extension can unveil hidden friends for those who have this extension installed to their chrome. How “Facebook Friends Mapper” works? Facebook Friend mapper extension works on mutual friend feature of Facebook which gather unseen friend’s data from your friend list and make it public for those who have this extension in their chrome. Let’s suppose one of your friend doesn’t share his/her friend list with you but you have at least one mutual friend so by using this extension you would be able to see his/her friend list. You must have at least one mutual friend if you want to use Facebook Friends mapper. However it doesn’t matter he/she is in your friend list or not. How to Use Facebook Friends Mapper? Following are the steps you have to follow to add Facebook Friends mapper extension into your chrome. 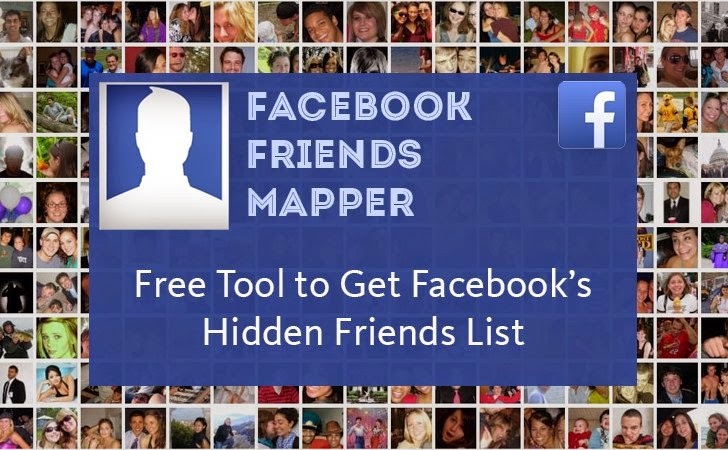 Download and install Facebook Friends mapper extension. Now open Facebook, go to the profile whom you want to see his/her hidden friend list. You will have a new option name “Reveal friends”. 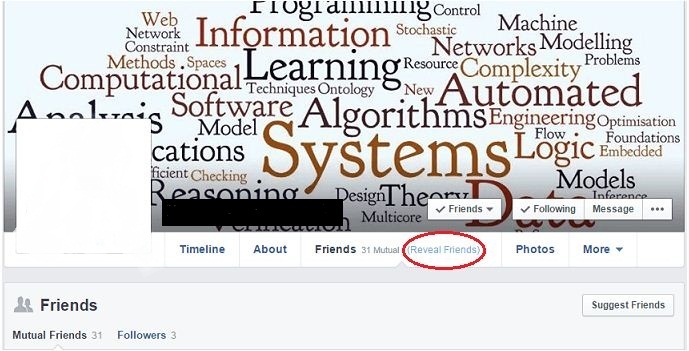 Click on “Reveal friends”. Now you will be able to see all hidden friends whether they are your mutual friends or not. See more: France state of emergency – Is this for security or anything else? ?